The daltile rittenhouse square 3 in. x 6 in. 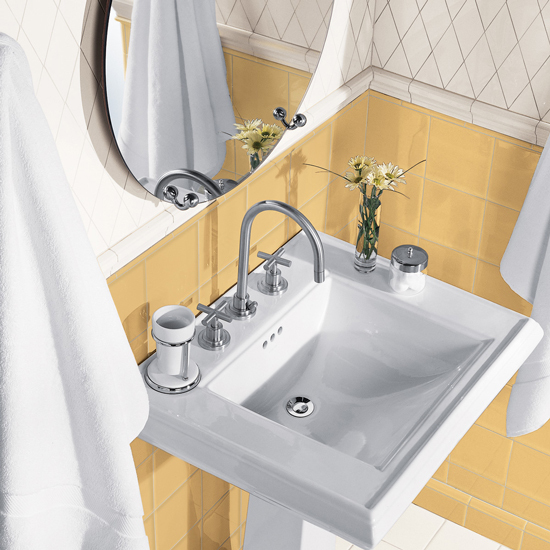 Arctic white ceramic floor and wall tile matches almost any home's decor. It is ideal for indoor use in residential spaces. It can be used on a wall, kitchen countertop or light-duty floor. The traditional-style tile has a smooth surface, a glazed finish, a low sheen and a slight variation in tone. It is marginally skid resistant.